Our latest installation required operators to enable an offset opening orientation. To achieve this we used Field 250 Underground Operators with the chain conversion kit to get the angles required. 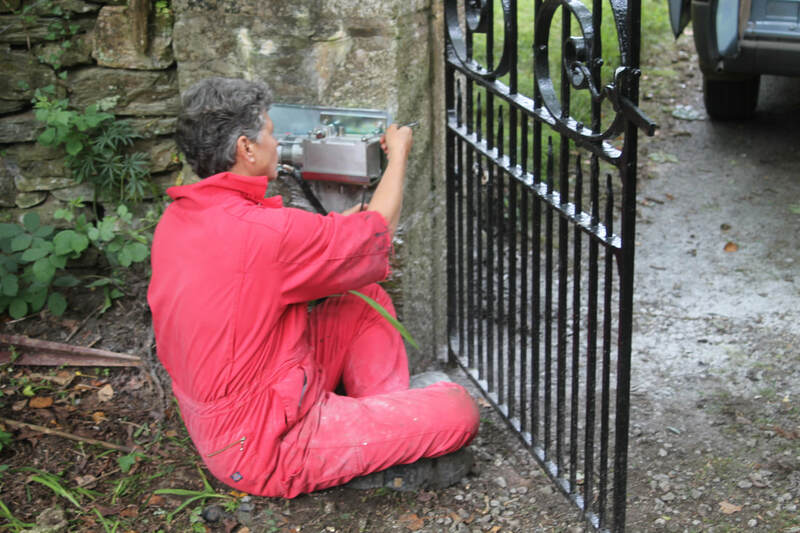 Gate maintenance of a gate is essential for reliable operation. Contact us for details. Wooden gates installed at a new entrance to this property. The gates are automated via SEA Underground Field 250 operators. Safety edges are along the bottom edges of the gates - inside and outside, to respond to unexpected obstructions in the pathway of the gate - eg a child, pet etc. Safety beams are also installed to protect the area of the gate operation - if they are obstructed then the gate will not close. LED lights on the gate posts flash when the gate is operating. 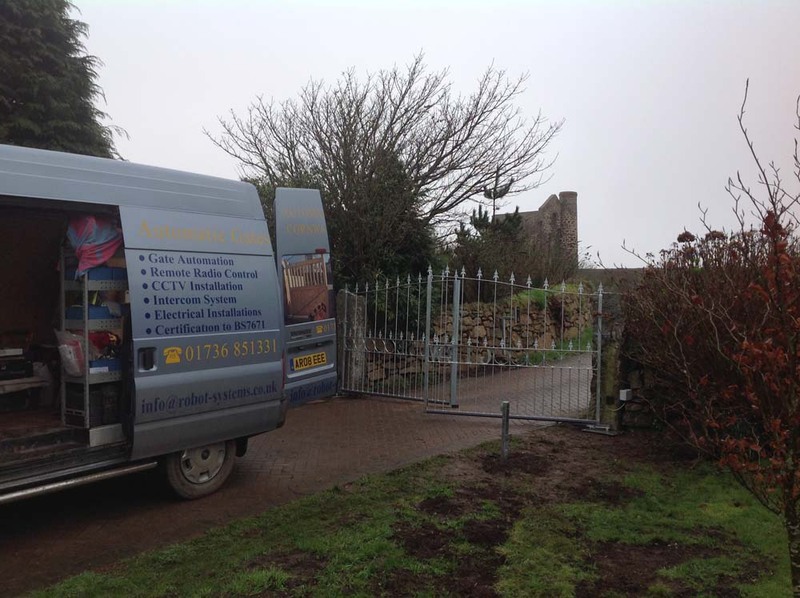 We were given the job to automate an existing set of vehicle gates for a small gated residential development. We used surface mounted hydraulic operators, with safety edges along internal and external bottom edges of the gates. Operation of the gates is achieved via radio fob, or keypade code entry, or via a vehicle triggering a ground loop under the blocks on the internal side of the gates. We were asked to replace a pair of wooden gates with new, bespoke metal gates, automated via underground operators with a WIFI enabled video intercom including keypad. Great to do an installation under the shadow of an iconic emblem of Cornish Heritage - an engine house. 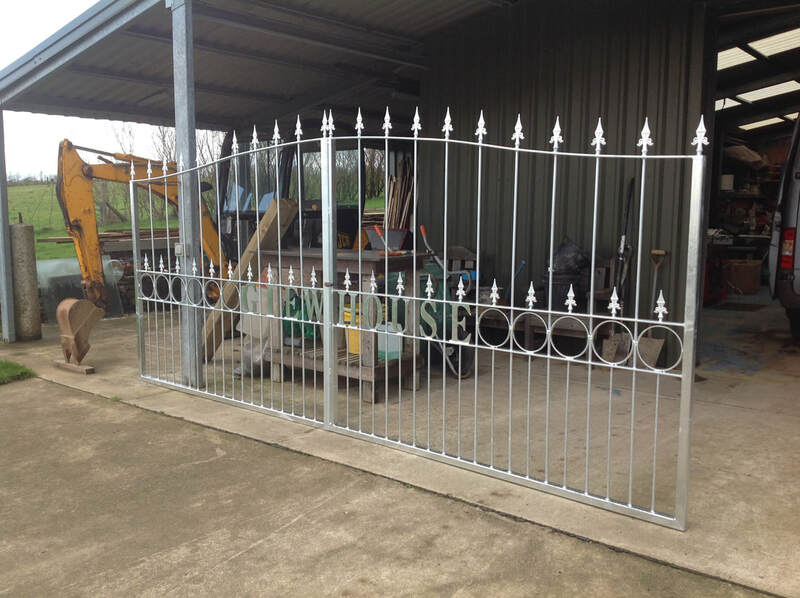 We manufactured and supplied the customer with these gates as galvanised metal frames - they were then clad with cedar to match the finish on the house. The gates are operated by underground operators. 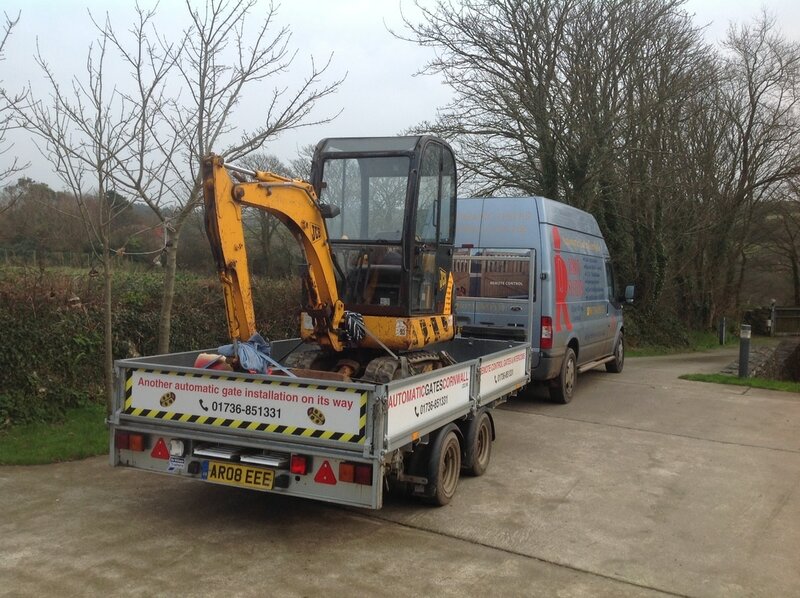 Vehicle access is achieved via radio fob or by entering a code on the intercom keypad. The intercom is wireless. There is also a safety beam projecting across the external face of the gates - if this is obstructed the gates will not close. 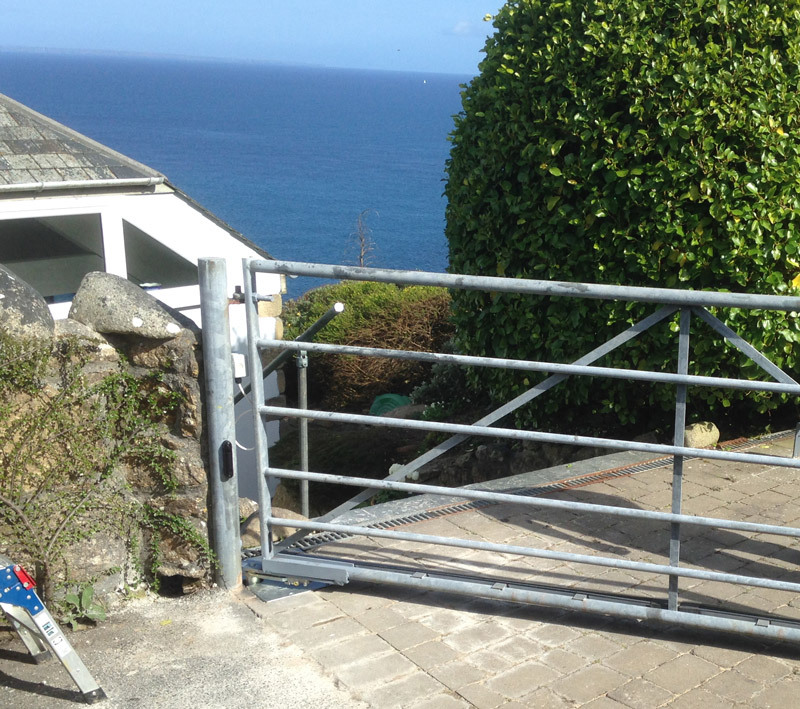 This could be the best location to have a single automatic gate, on the cliff at Lamorna Cove. We used the SEA Field 250 underground operator cut into the driveway block work. Took longer than expected mostly due to the long tea breaks on the sun deck....!